Two years about LOFAR-UK was blogging about installing our station (with much thanks to Derek for such regular updates). Last year I gave instructions on how to relive this by following the live installations in Finland (HBAs) and Sweden. The Swedish array was opened in October 2011, but the short summers in Finland, mean the rest of the Finnish station is being installed this year. 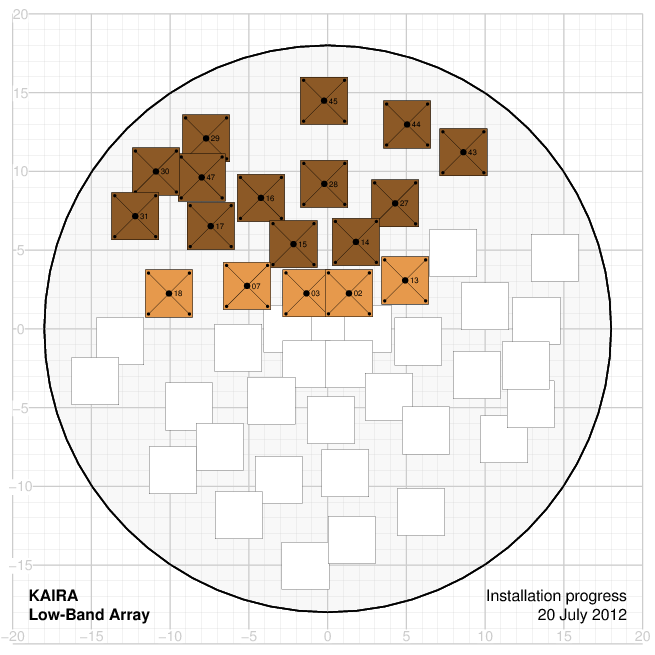 So again the @KAIRAProject are working hard installing their low band antennas (LBAs) and live blogging and tweeting the experience. 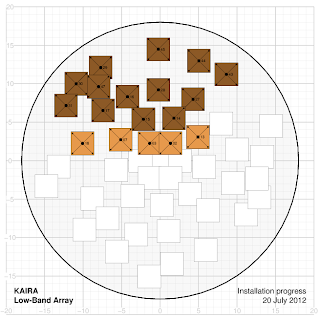 Here's their progress of LBA installation as of Friday (colours indicate installation on different days). Keep up the good work, and enjoy.